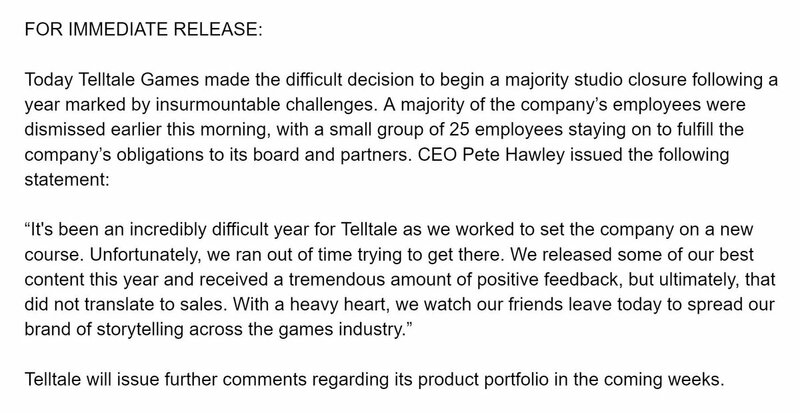 Studio reducing staff: "A majority of the company's employees were dismissed earlier this morning, with a small group of 25 staying on..."
Sounds familiar, sadly. I wish them well. I was really shocked when I heard this as I'd thought TellTale were doing well. Having said that though, I only played their Back to the Future game although I had planned to get Batman as well. A real shame.